Are you choosing the right blood test for your corporate wellness program? So, you decided to add a corporate wellness program to your business. That’s great, and you’re certainly not alone. About 70 percent of all United States companies offer some sort of wellness program in order to reduce chronic diseases, such as diabetes and obesity. Many employees make their programs incentive-based. They offer bonuses for things such as reducing cholesterol and quitting smoking. Check out our current deals now! Chronic diseases account for about 86 percent of national health care costs. Mostly because they affect nearly half of all American adults. Wellness programs monitor employee health in several ways. They include glucose levels checks to screen for diabetes; cholesterol examinations; and blood pressure readings. It’s estimated that companies earn an ROI of $1.50 for every dollar spent on wellness. However, cutting corners on certain aspects, such as blood testing, might actually cost employers in the long-run. Biometric Screening: Finger-stick or Blood Draw? 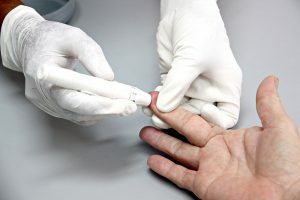 There are two common types of biometric screening blood draws that health professionals use for corporate wellness testing: Venipuncture and capillary, AKA finger-stick. With venipuncture, blood samples are collected from veins, then sent to a lab for testing. The results take longer to receive (typically 1-3 days), and they require the patient to fast for about 12 hours. The capillary blood draw is considered as a non-invasive, quick, and inexpensive alternative to venipuncture. It offers immediate reads on cholesterol and glucose levels, all through a simple prick of a finger. Sounds great, right? Quick and relatively painless testing with instant results? Sign me up! Not so fast. See what’s new in your industry today! In this consumer-driven world where people purchase Amazon Prime accounts for next-day delivery, immediacy is king. So, when a comparable service offered at a lesser rate yields instant results, it’s a no-brainer, right? As a business professional, you need to obtain accurate results to support your bottom line. Making the right, most cost-effective choice in biometric screening contributes to the success of your program, and reduces future costs. According to Worksite Medical physician assistant Nicole Halford, the finger-stick method does not accurately represent employee health. Running a profitable company and blindly spending money don’t mix. Finger-sticking isn’t necessarily blind spending, but it does come with a few blind spots. Let’s take, for example, cholesterol. Your body requires that waxy, fat-like substance in order to properly digest food. However, when cholesterol levels are too high, the risk for coronary heart disease (CHD) increases drastically. That proves as significant because CHD accounts for nearly a quarter of deaths in the United States each year. According to the National Center for Chronic Disease Prevention and Health Promotion (CDC), chronic diseases already drive employer health care costs sky-high. Now, imagine rewarding an employee for lowering his/her cholesterol, only to pay that same employee’s heart disease health care costs a few months later. It’s a lose-lose situation. Venipuncture blood testing covers specific aspects of cholesterol with a lipid profile. The finger-stick uses total cholesterol count, which only offers generalized heart disease risk information. A potentially deadly disease screening should be thorough, not approximate. Also, employers who offer incentive-driven programs shouldn’t be paying for incomplete blood test results. What’s more is that venipuncture provides the highest amount of health information by way of a chemistry 25 profile and complete blood count (CBC). Lab results from a chemistry profile show kidney function, potassium levels, sodium levels, and protein. The CBC evaluates overall health and detects disorders, such as infections, anemia, and leukemia. For the most part, a capillary test only covers cholesterol and glucose levels. And, if the technician finds irregularities, the employee will inevitably need the entire lab evaluation. At the point, the cost outweighs the initial benefits of immediacy and low price. Make sure that you’re getting the most out of your corporate wellness program, and choose the right testing. 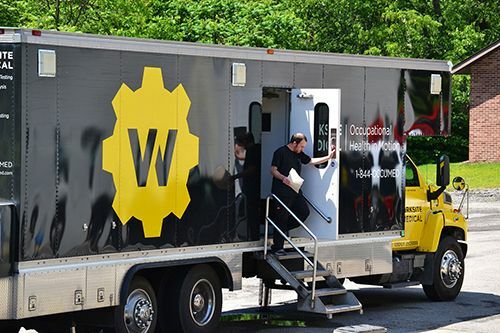 Create a Less Disruptive, More Productive Occupational Health Plan with Worksite Medical! Are you looking for a way to keep your team safe, while also limiting risk and increasing production? Simplify your medical plan today. We help team leaders like you develop less disruptive, more convenient occupational health plans that comply with complex industry standards, thus creating a healthier, more productive workforce. Take control of your medical testing program.